Simlångsdalen Fishery is an association that actively works to improve fishing in our area. 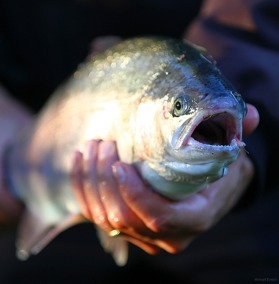 For a number of years, we have planted pike-perch in the Lakes, and now are big enough to fish. Here you can fish in Lake Gyltigesjön, Lake Töddesjön, Lake Simlången, Lake Brearedssjön and part of the River Fylleån between Lake Brearedssjön and Marbäck. Legal sizes: pike / pike-perch 40 cm - salmon / trout 45 cm. Angling, fly-fishing and spinning. Youth and kids under the age of 16 fish for free. Boats can be rented from Tallhöjden Inn.